The name Nanning (南宁) literally means “Peace in the South” as historically the imperial government used Nanning as a stronghold to aid the integration of the south of China with the north. 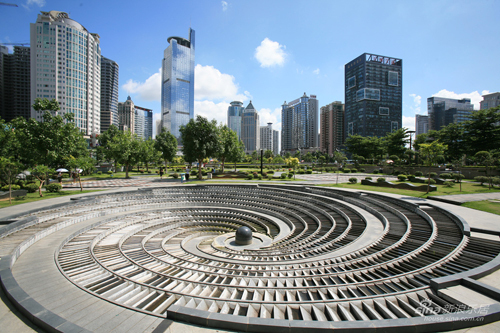 Nowadays, although the city has undoubtedly grown into a burgeoning metropolis, the lush tropical greenery that has earned Nanning the title of “Green City” still gives this urban city an air of tranquillity. Nanning is the capital city of Guangxi and is, unsurprisingly, also its largest city. It boasts a population of over 6.5 million people and is home to communities of 35 different ethnic minorities, including Zhuang, Yao, Hui, Miao, Dong, and Man people, to name but a few. 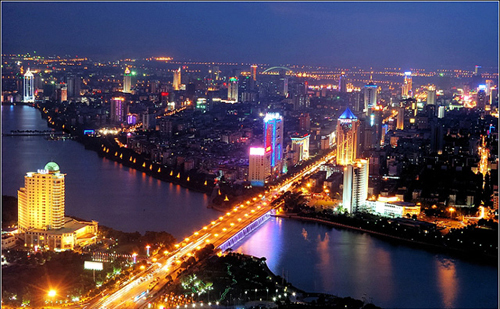 Nanning is a melting pot of various cultures and this is reflected in its customs, cuisine, and linguistic diversity. Due to its close proximity to neighbouring Guangdong province, where Cantonese culture prevails over Han Chinese culture, many of the older people in Nanning will speak Cantonese instead of Mandarin Chinese. However, thanks to the diligent efforts of the Chinese government, many of the younger people in Nanning now speak a dialect of Mandarin Chinese. Since Nanning has a significant contingency of Zhuang people, many local people will also speak the Zhuang language and you’ll even find that many of the road signs have been transliterated into both Cantonese and the Zhuang language. The city’s proximity to the Vietnam border and to Hong Kong and Macau means its culture has also been heavily influenced by these three neighbours. This makes Nanning one of the most culturally and linguistically diverse cities in China. With over 3,500 different species of tropical plant thriving in the city, Nanning is also famed for its biodiversity. The city flower is the vibrant Chinese hibiscus and the city tree is the almond tree, both of which are prevalent throughout the city. The verdant greenery is so prolific throughout Nanning that, from certain angles, it looks as though the city has been overgrown with vegetation. This natural beauty has given way to a number of local attractions, including the historic People’s Park, magnificent Qingxiu Mountain in the south of the city, tranquil South Lake, and Guangxi Medicinal Herb Botanical Garden. The Detian Waterfall that rests on the border between Vietnam and China is particularly spectacular and can be easily reached from Nanning. Nanning’s significance to the history of South China and its diverse ethnic minority population can be studied at the local Guangxi Museum. This museum boasts an eclectic variety of exhibits, including a hall dedicated to ancient bronze drums found in Guangxi, an exhibition detailing the history and culture of the resident ethnic minorities, and an open-air stage where ethnic groups perform and replicas of different ethnic dwellings are on display. A stop to this museum will enrich any trip with a wealth of interesting facts, stories and legends about both the Han Chinese and the ethnic minorities of China. Since Nanning has become one of the foremost cities in China to study Mandarin Chinese, it has adapted to the sensitivities and palates of its many foreign visitors. You can now find many Western-style restaurants, cafés, bars, and clubs littered throughout the city. This is surprisingly unusual for a southern Chinese city, even one as large as Nanning. The nightlife in the city is especially vibrant and, when the lights switch on at dusk, the cityscape looks irresistibly dazzling. There is a wide variety of hotels and hostels that cater to all different types of visitor, from those who simply want a bed to those who desire a luxurious, 5-star palace. If you want to truly experience urban life in Guangxi, Nanning is the best place to be!